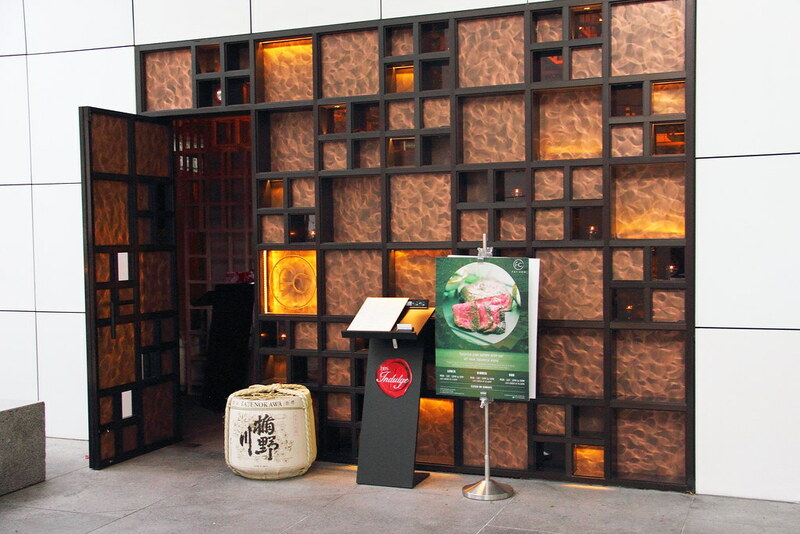 Fat Cow is a Japanese inspired steakhouse located at Camden Medical Centre. I have been wanting to visit this place but I was worry about the price point of their offering. If you have been following my blog, you would have known that I have been using the Entertainer App that offers one for one main course. This great app has allowed me to safe on my bill as well as checking out restaurants that I probably not visit unless special occasion. 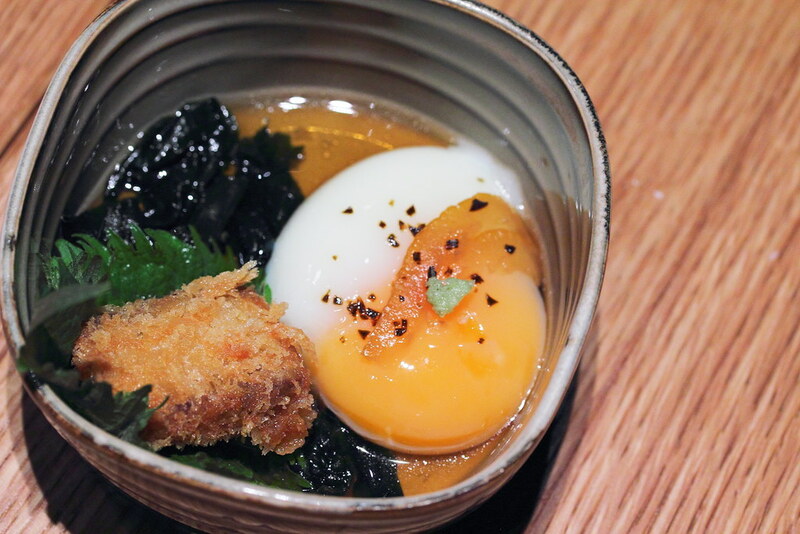 The Onsen Tamago No Gyu Marrow Furai ($16) is served warm with a hunk of crispy fried beef bone marrow in a citrus dashi. Individually each component was tasty on his own but I did not feel that everything came together as a whole. 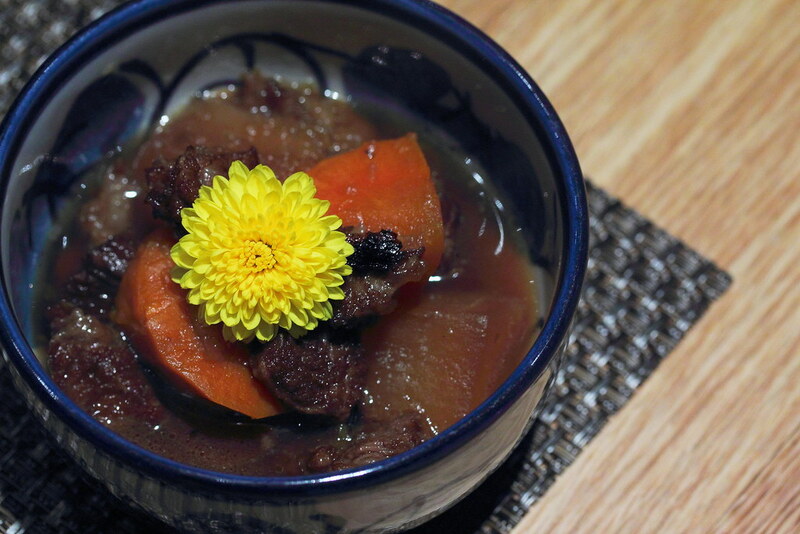 The Wagyu No Kakuni ($38) was simmered in a sweet ginger soy with fresh yuzu. The Japanese wagyu rib meat was bursting with rich and robust flavours and simply melted in the mouth. Being new to Fat Cow we took a bit of time to study the menu and decide what to order. I am glad that the friendly staff is there to assist us and made recommendation. Actually it is quite simple, first decide the type of meat and second the style of cooking it. We decided to the Japan beef with both Sumibiyaki and Shabu Shabu. 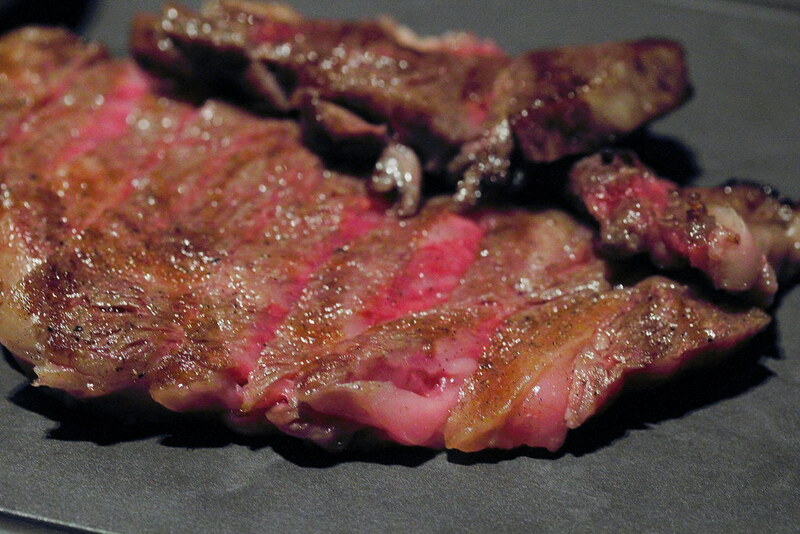 For Sumibiyaki, we went for the Grade A5 Ribeye from Iwate Perfecture ($148 for 150g). The piece of steak was grilled over binchotan charcoal and served with sudachi and salt. We have requested the steak to be sliced up as we are sharing. The beautiful piece of pinky beef laterally melted in the mouth and it was so tasty and flavourful on its own. I was totally blown off by its texture and flavour. 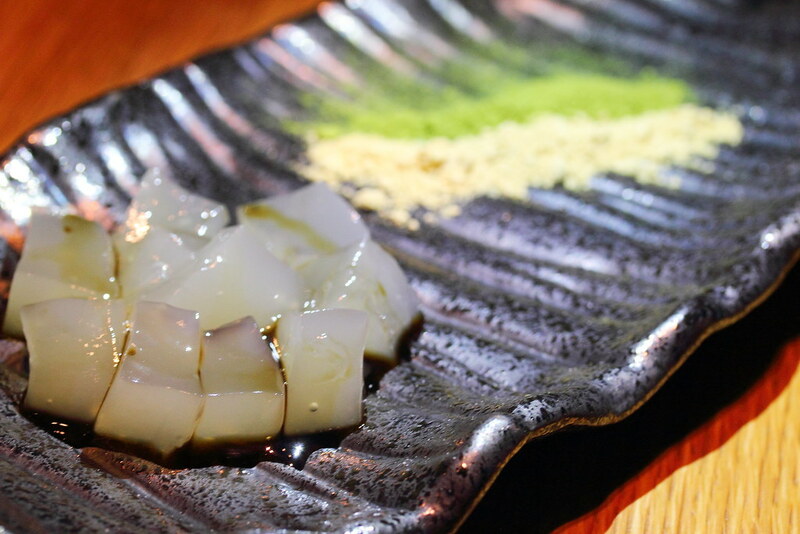 For Shabu Shabu, we tried the Grade A4 Ribeye from Ohmi Perfecture ($120 for 150g). The slice of beef has lesser fat content compared to Grade A5. The Grade A4 Ribeye has a firm bite and texture with a creamy and butter taste. Being Asian we need our bowl of rice so we ordered the The Fat Rice ($8) to go with the Shabu Shabu. The high end short grain rice from Akita prefecture, Akitakomachi is seasoned with the signature in house shoyu that accentuated the aroma. Moving on to the dessert, we tried the Boss Coffee ($18) which comes with milk pudding, coffee fudge, coffee granite and agar. There were many flavours at play making it a bit too complex for the palate in my opinion. 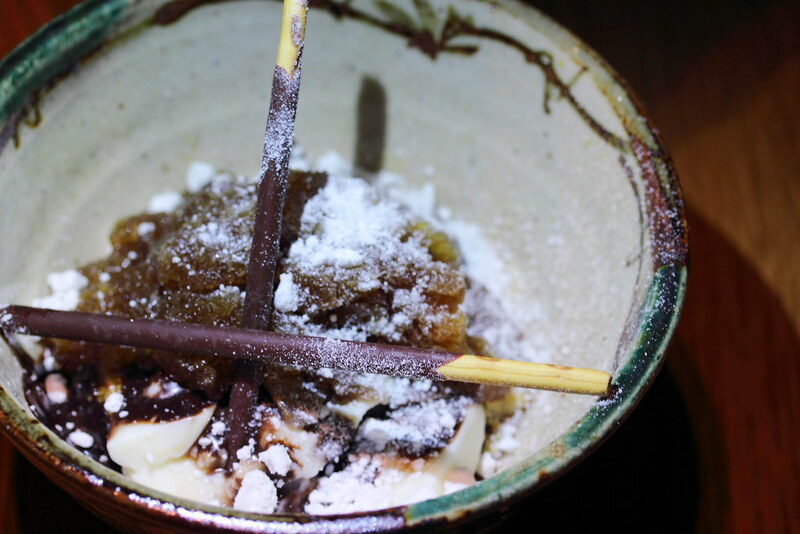 My favourite was the Warabi Mochi ($18). The house made warabi mochi was wobbly and has a very delightful bite. Rolled it over either the kinako (roasted soy bean flour) or green tea for a different form of enjoyment. I am glad that I have the Entertainer App. For this dinner, I get to save $120 because of the 1 for 1 main promotion. The saving is even more than what it costs to purchase the Entertainer App. If you are one that loves your beef, you should make a trip to Fat Cow and enjoy top quality premium beef at its best.